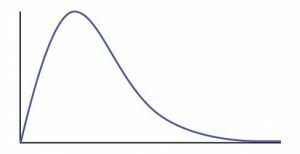 What’s Your Bell Curve Look Like? The performance of our people is on the X (horizontal) axis, the number of our people is on the Y (vertical) axis. 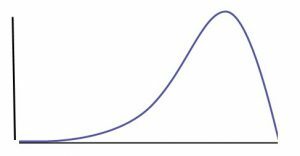 The bell curve typically has us thinking that we have a small number of high performers (the far right side of the curve) and a small number of poor performers (the left side of the curve) and the bulk of our people are medium performers. 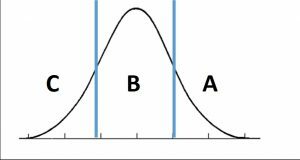 We may segment the bell curve to A, B, C players as shown below. We tend to think these distributions are what they are, and there is little we can do about them. We say there will always be poor performers, the bulk of our people will be middle performers, and we will be lucky enough to have a few good performers. But the bell curve, or the performance distribution curve is really a result of our design. We create it, we create the performance distribution across those curves. They don’t just appear, there is no law of mathematics, nature, or physics, we are in complete control of the shape of our bell curves. The majority of our people are poorer performers–at least when compared to the other curves, and we have very few great performers. When I look at an organization with a performance distribution like this, I immediately know the source of the problem: Clueless/bad management. And over time, organizations with these curves tend to shift further to the left, simply because the A performers leave. They don’t want to be associated with a bad organization. These are organizations focused on driving consistent high performance. They realize talent management is a key part of the managers’ jobs. They recruit the best, they constantly train, develop, coach to move people to higher levels of performance. In these organizations, C players leave and that tail gets smaller and smaller. They leave voluntarily, because they know they can’t cut it, or managers don’t accept anything but the best performance, so they move people into roles where they can be top performers–and sometimes that is out of the organization. Managers in these organizations recognize they design the organization for performance rather than just letting what happens, happens. 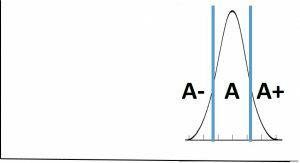 As you can see, the shape and positioning of our bell curves is totally in our control. We only have C or even B players in our organizations because we accept them. We don’t pay attention to the things critical to driving the highest levels of performance. 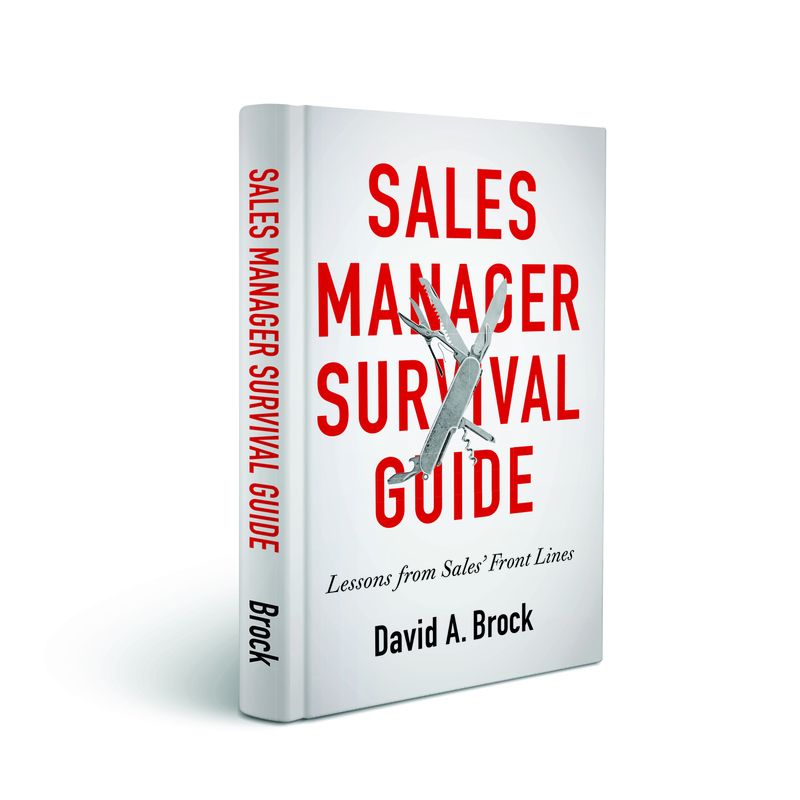 Managers in high performing organizations are viciously focused on never sacrificing those things that drive performance. They never “settle” on people, they never hire the best of who they’ve seen, they hire the people who fit the competency models they have developed. And they manage to those models. Performance is the result of focus and actions management and leaders take. It is not something that just happens to us, but it is a result of what we do, what we create—or what we let happen because we aren’t paying attention. 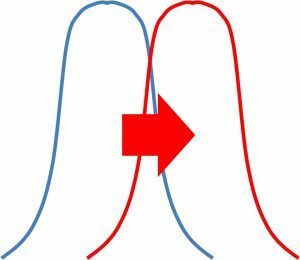 What’s the shape of your bell curve, what are you doing to change it? Are You Designing For Performance?